The pet market is gradually expanding, which has encouraged entrepreneurs already established in the field and also entrepreneurs who may wish to invest in this segment. 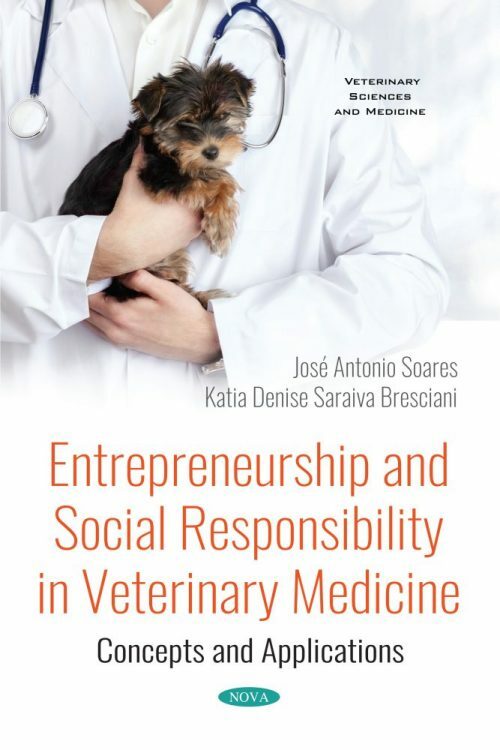 Few studies intend to clarify the entrepreneurial side, and thus attempt to improve the quality and profitability of business in veterinary medicine. Entrepreneurship is focused on the identification of an opportunity created by the analysis of a service or process problem, and the full use of this opportunity can generate a unique financial profitability, creating successful businesses. The entrepreneurial attitude reflects on innovative and creative actions, adding value to the environment. The set of actions proposed by a company that has as its mission to protect and improve the population’s well-being is called social responsibility, which is related to animals’ owners, employees and environment. Companies began to present greater influence in society in recent decades, simultaneous to the achievements in humanity in the social field. Corporate social responsibility can be considered an old debate as much as the concepts of enterprise and business, and it is becoming an important issue in the most different types of organizations, whether they be universities, hospitals, class entities, religious affiliations and even the government. In this book, the authors discuss mainly the importance of a set of integrated actions to be taken in a system based on principles of entrepreneurship and social responsibility.